If it wasn’t for the lovely Rose La Rose, this blog wouldn’t exist. 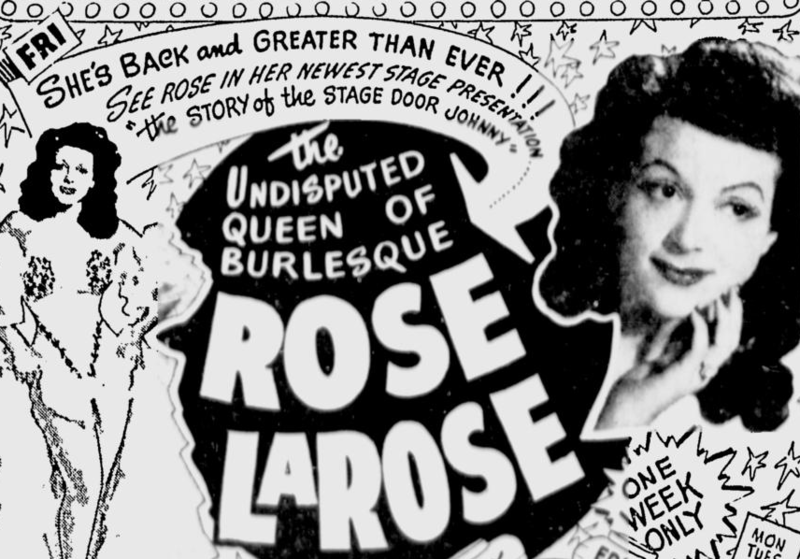 Rose La Rose owned two Burlesque theaters in Toledo, Ohio. First, the Esquire, and then the Town Hall, and fortunately for us all she had the foresight to save all the promo pix from nearly all the girls who performed on her stages over the years. 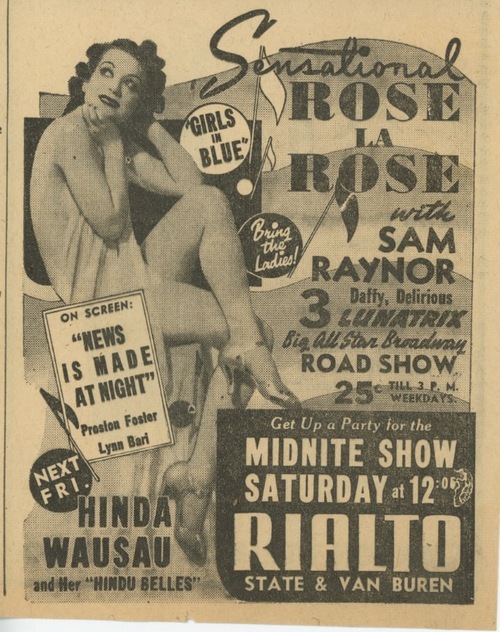 Rose’s promo flyer from when she performed at the Folly Theater (Kansas City, MO ) in 1956. 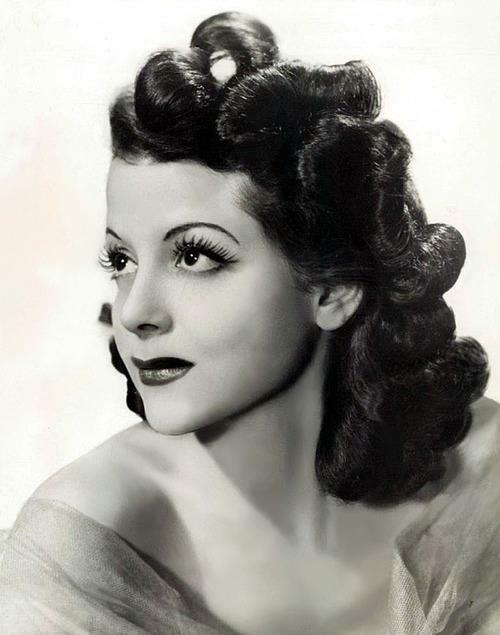 Rose performed in the 1930s, 1940s, and 1950s. She had some great costumes. She had a special TRICK DRESS that she wore when she sang ‘Who Will Kiss My Oo-La-La? !‘, that exposed some of her “Oo-la-la”. She’d dance, frequently slapping her “oo la la” (fanny). Rose doing a commercial/promo for Pepsi Cola. 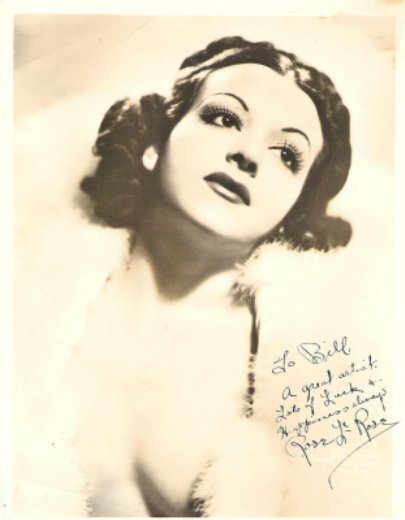 Rose signed this to William Travilla, who designed some of her costumes. TOLEDO, by William Speck, has this passage on Rose’s theatre in Toledo, the TOWN HALL. 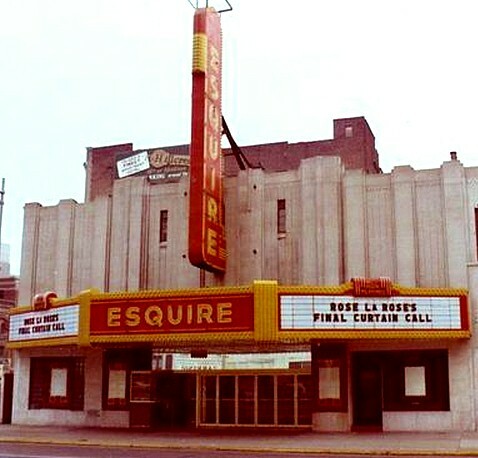 After her Town Hall theater was shut down as part of Toledo’s urban renewal project, Rose bought the Esquire Theater in 1968. She still ran live shows for a while, then added in X-rated movies, and eventually switched to movies full time. 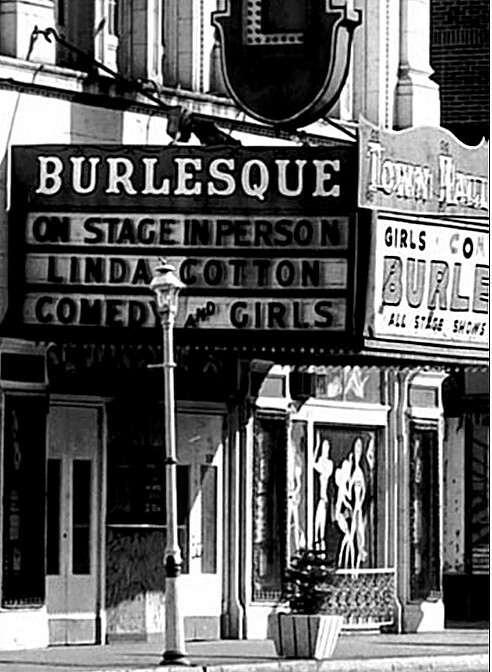 That was the way it was for the live burlesque business everywher at the time. Rose passed away soon after. 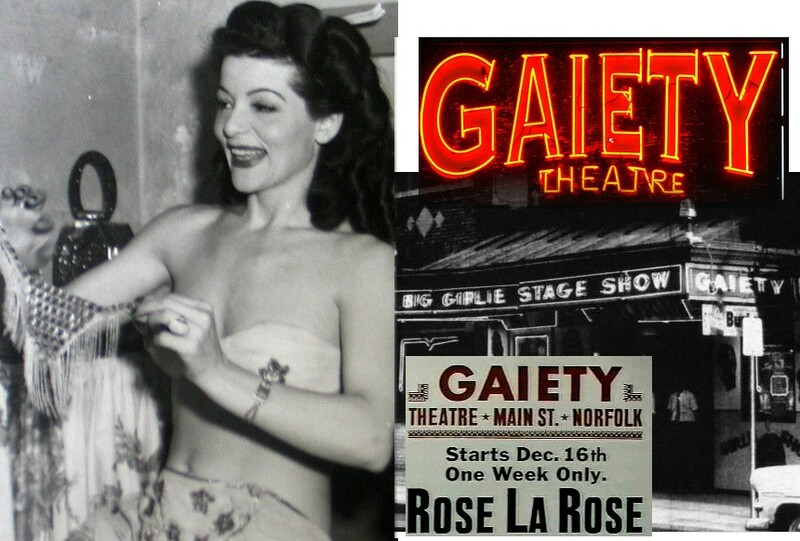 “ When the legendary venue [the Town Hall] was reduced to remembrance, the theatre’s long time owner, the famous and formidable burlesque queen, Rose la Rose was heartbroken and angry. She fought the move, but lost. 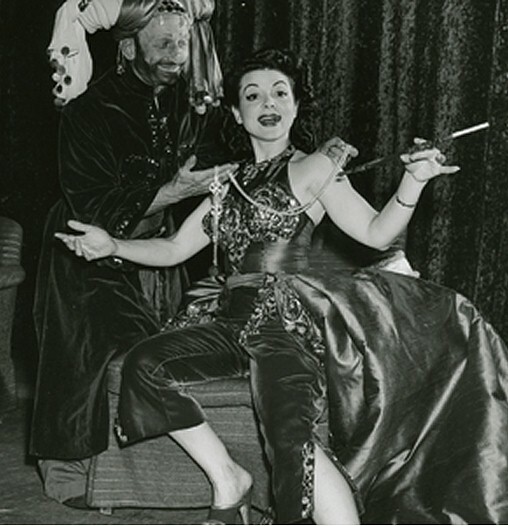 City fathers in Toledo even tried to pass a law outlawing burlesque throughout the entire city in an effort to stop Rose from opening the old Esquire Theatre at Superior and Jefferson as a replacement to the Town Hall. 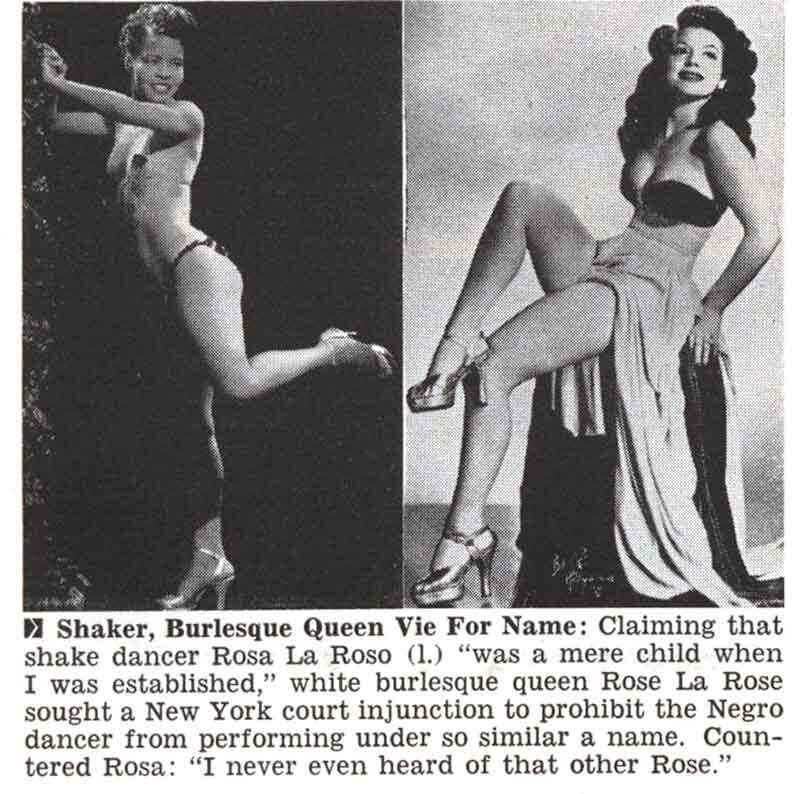 A federal judge, however, intervened and ruled against the city; but while Rose La Rose won the battle, she lost the war. 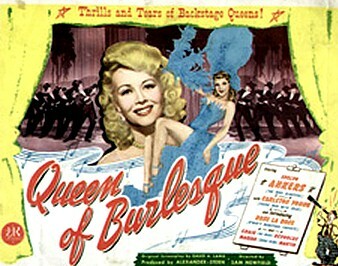 By the time she was able to reopen burlesque theatre in Toledo under the Esquire marquee, its magic was fading quickly. This “innocent” brand of sexually suggestive show business had become too mild and hokey for the times. 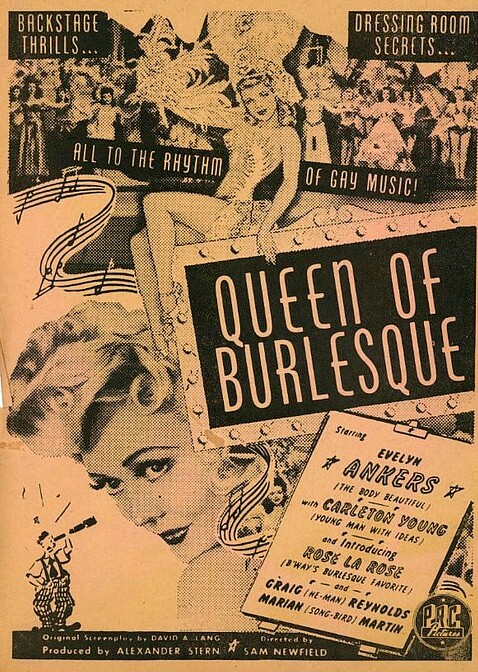 Rose la Rose tried to keep it on life support, but finally, even she yielded to the pressure of the times and began running x-rated movies with a mix of live performances at the Esquire. 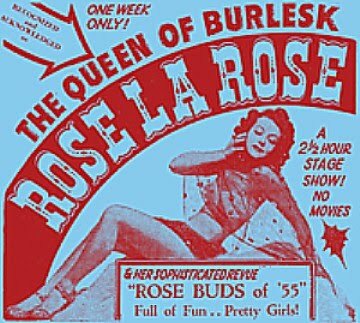 Rose La Rose has been blamed with sounding the death knell for live Burlesque theaters. She had a good business idea, shared it with some film makers – gratis – who ran with it — all the way to the bank! Rose was in Wages of Sin, a short stag film or ‘midway loop’. The WEIRD WILD REALM site has an article about Rose, and some flicks she was featured in. 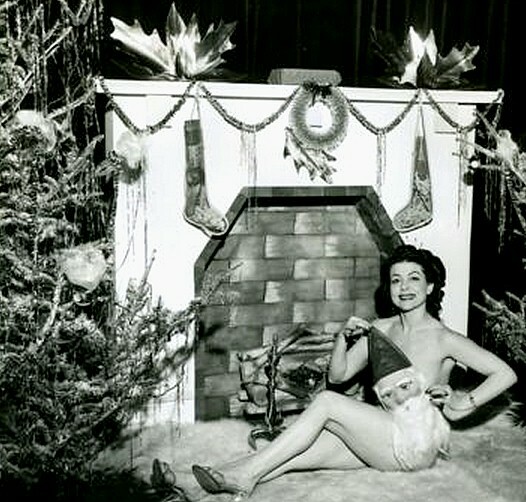 She eventually owned a veritable chain of burlesque theaters in Toledo, Ohio, & made extra on the side teaching housewives how to strip for their husbands. 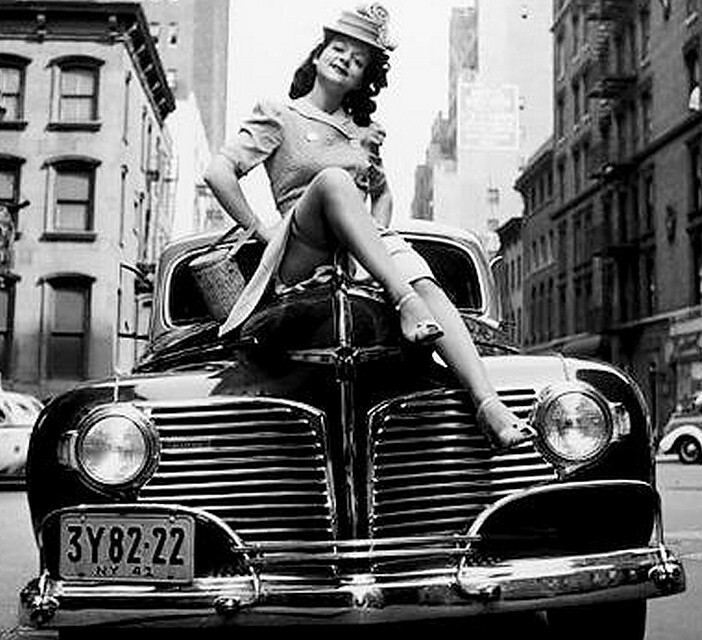 She became (according to Walter Winchell) the highest paid stripper in America. Just who were her 3 husbands? See Rose’s page on Streetswing.com — link. 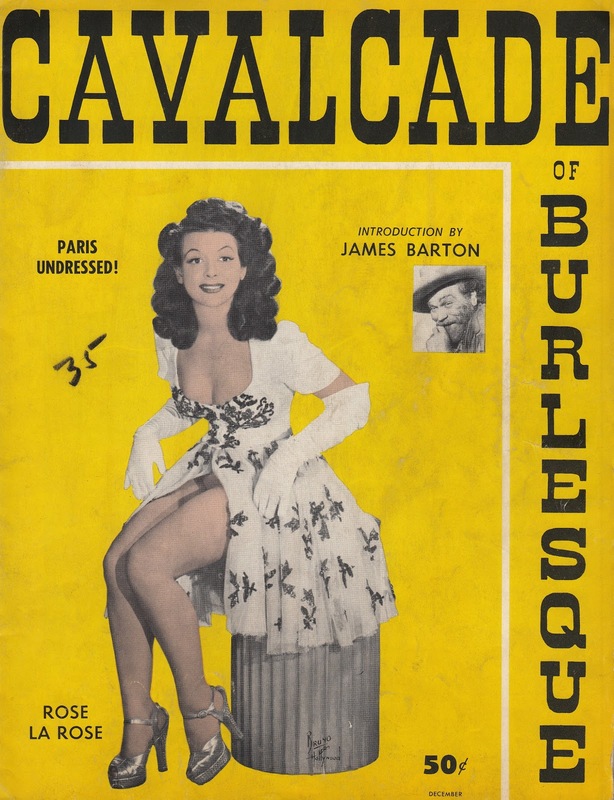 You can read a chapter about Rose in Jane Briggeman’s book, BURLESQUE, here. 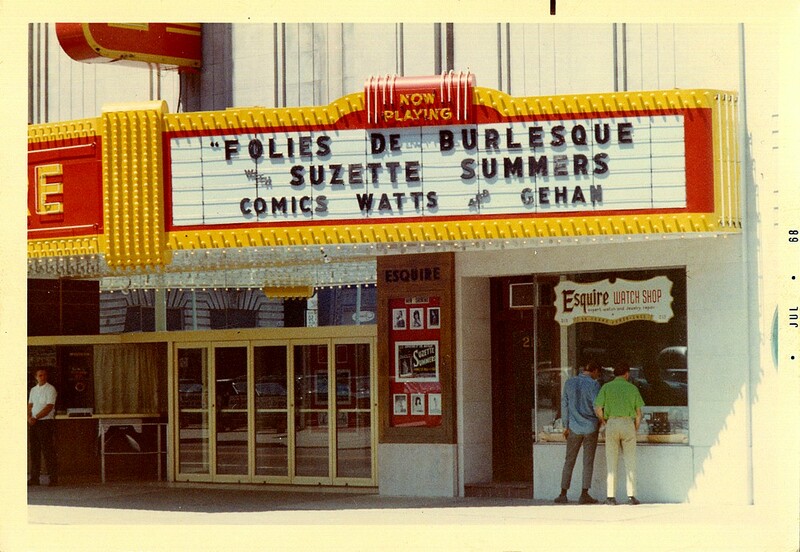 …In 1968 the city closed the theater (urban renewal), so she bought the Esquire Theater and continued there. 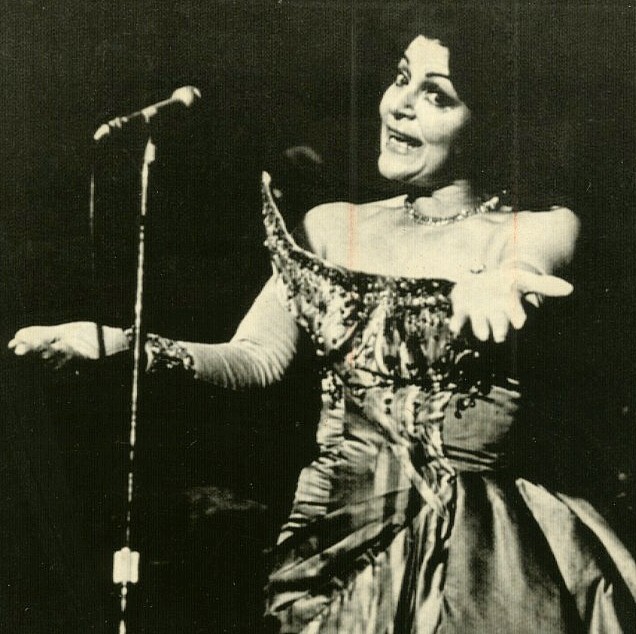 …Sadly, Rose passed away from cancer in July 1972, at only 53 years old. WHERE ARE THE LOST PIECES OF THE TOWN HALL? 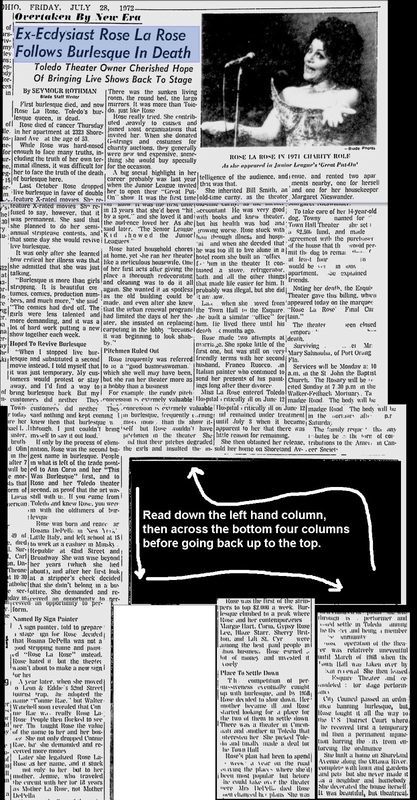 The research for this story took me to a Toledo Blade story from 1968 that told of a big auction that Rose was holding to sell off the memorabilia from the old Town Hall just weeks before the wrecking ball took center stage. 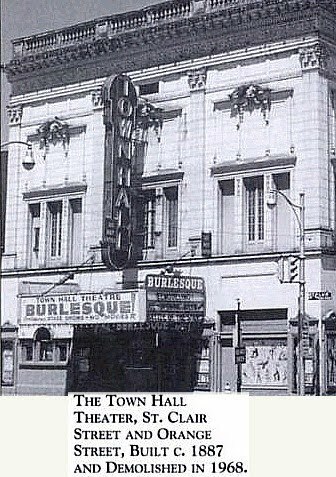 The sale included photos of the many dancers who performed there, posters, lights, fixtures, unclaimed trunks of performers’ costumes, plus some unique artwork that adorned the exterior and lobby of the theatre. 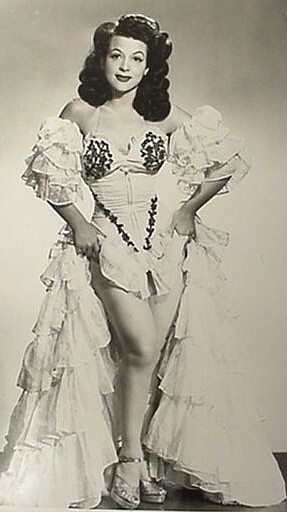 Rose La Rose even sold off three trunk loads of her personal costumes from her early days on the bump and grind circuit. 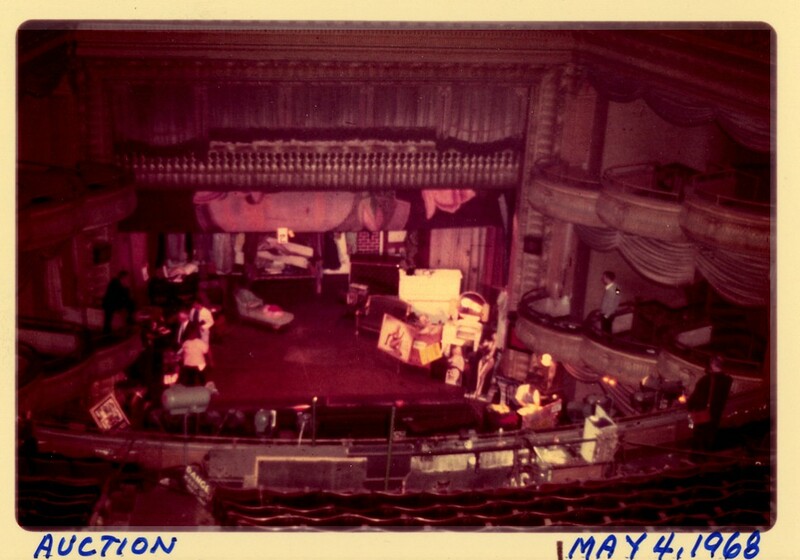 The theatre seats themselves were sold to the highest bidders. The auction was held in May of 1968 — and I now wonder what ever happened to these pieces of Toledo’s past. In what basement, or garage or warehouse are these artifacts gathering dust or conversation? So, apparently the photo collection I acquired must have come from the estate of the person who bought the photos at the aforementioned auction. 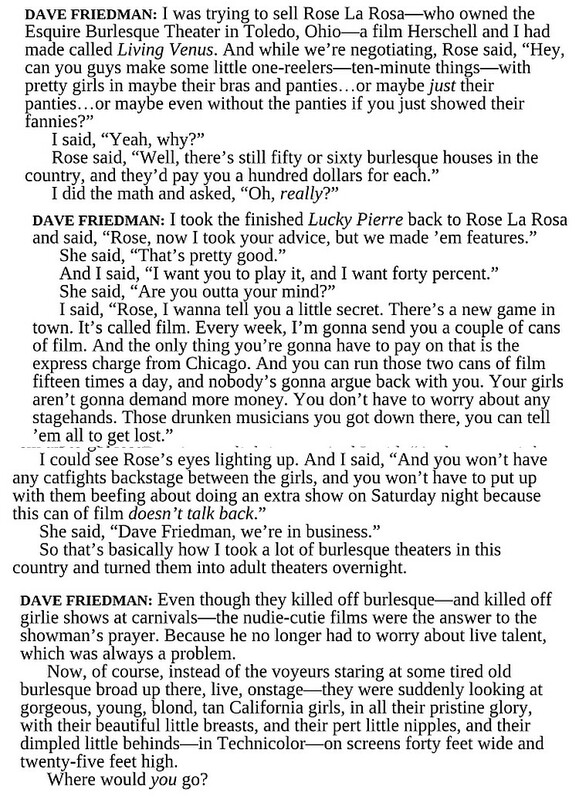 Rose’s obituary mentions her theater manager Bill Smith. It was my understanding that my collection came from his heirs. Perhaps Bill was the one bidding at Rose’s auction. Looks like the home decor described in the above obit. Rose even has an IMDB page. There is and was ever only ONE true Rose La Rose! Vive La Rose! Bonus – listen to a snippet of the Miller Brothers Band’s tune, Rose La Rose (Down Toledo Way) here. 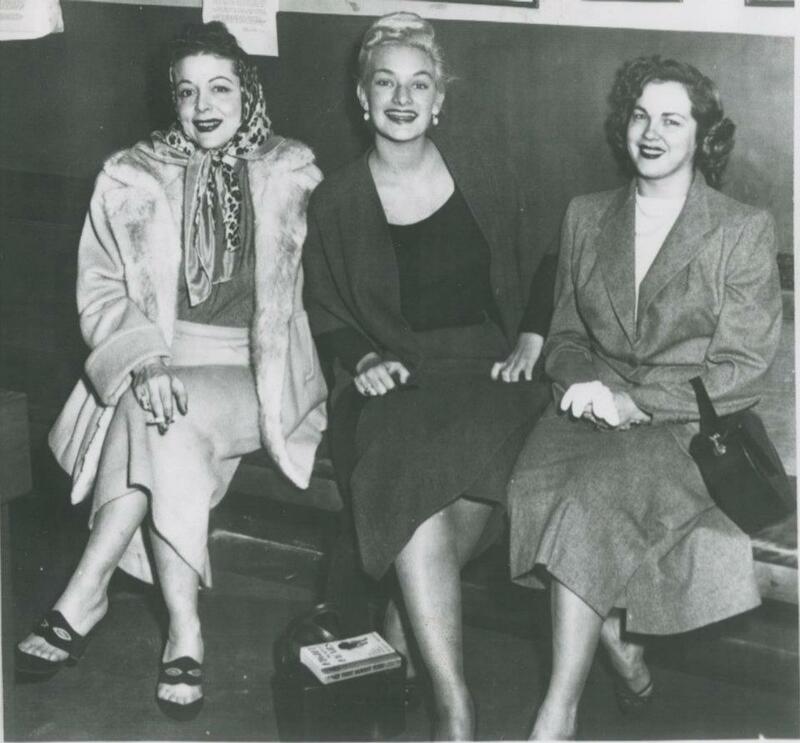 From Detroit, a trip to Rose’s theater was a right of passage when they were teenagers, as it was for 1,000s of young men!